The title says what it’s about: how to market your non-profit organization. It hits online hard, but I was also happy to read about different audiences: donors, volunteers, and the people you’re helping. All are important. Well, are you marketing a non-profit or a small business? Are you trying to get some message out into the world? 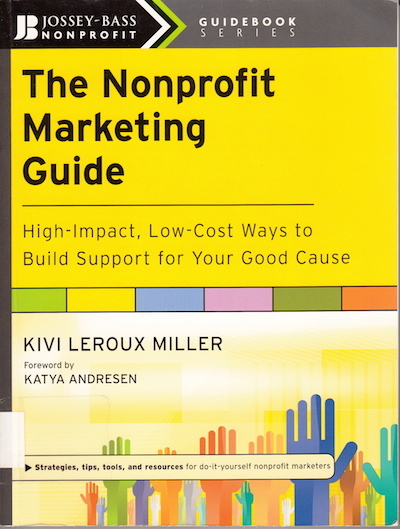 The Non-Profit Marketing Guide has great tips on things like content calendars and social networks and how to craft a story in three paragraphs. Not to mention that hope is an emotion that gets people to donate. Fear works too, but people get tired of fear – hope creates long-lasting support for your cause. Overall, it’s a book full of tips. Definitely a professional book, not a for-fun book.